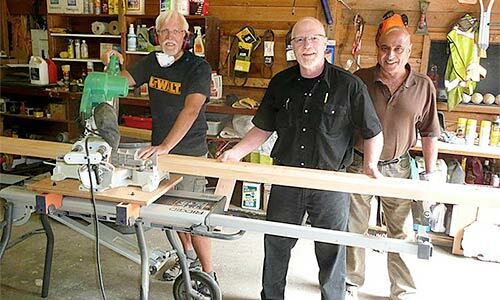 …organized the Squamish Days Parade for many years? 2nd Annual Robbie Burns Dinner a Success! 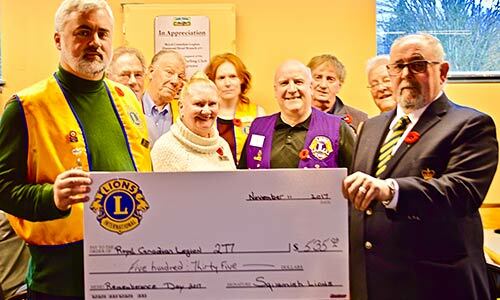 On Friday January 25, 2019, the Squamish Lions Club hosted our 2nd annual Robbie Burns Dinner, which was very quickly organized and led by Lions Mike and Sharon. 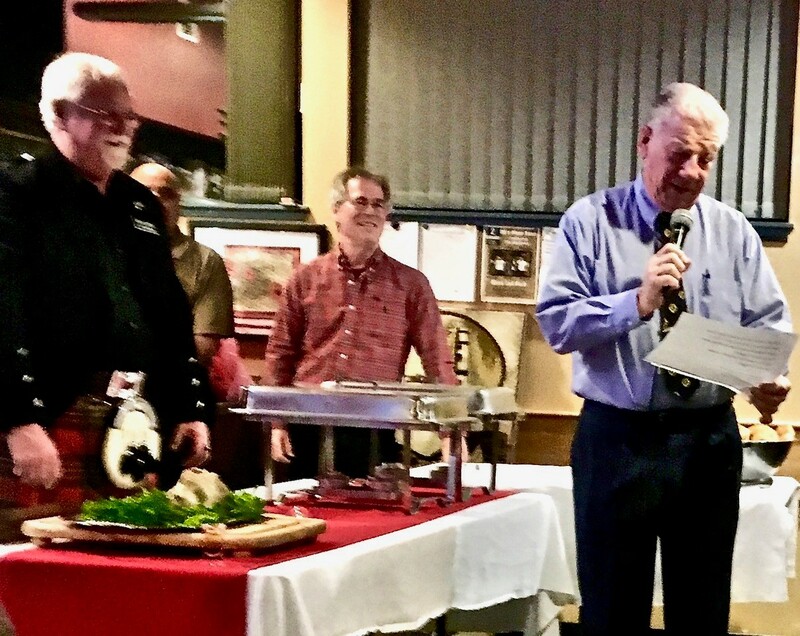 The dinner featured a traditional roast beef dinner with haggis and silent auction. Tickets sold out very quickly! Approximately $2000 was raised. 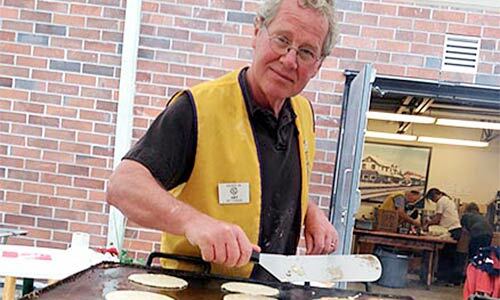 Thank you to all who turned out to make it a successful evening, and special thanks to Lion and Friends of Lion volunteers who helped cook and serve the food, seat guests, and cleanup afterwards! 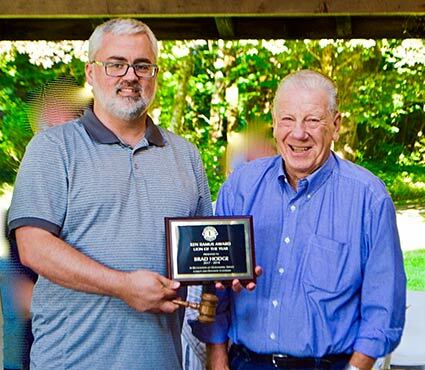 Tail Twister Nelson awards Lion President Brad with the Ken Ramus Award recognizing the Lion of the Year for 2018. The Lions wrapped up another successful service season on Saturday June 23 with an awards dinner at the Easter Seals Camp in Squamish. 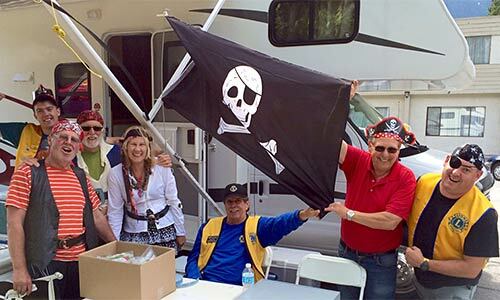 Even though scheduled meetings will not resume until September, the Squamish Lions will be very busy in and around the community all summer at various events and community celebrations. 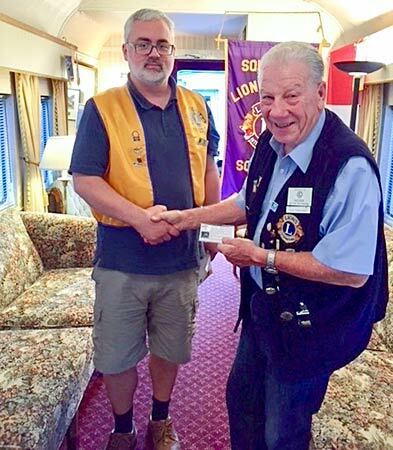 Lion President Brad is presenting Lion Nelson with a CENTENNIAL LIO pin as part of the Centennial Memberships Awards program.